BlockNet (BLOCK) Ranked 181 in Coin Market Daddy Currencies Index. BlockNet (BLOCK) price is $2.54. It has a current circulating supply of 5,735,898 BLOCK and a Marketcap of $14.58M. Today BlockNet price is down (-0.12%). $112.01K worth of BlockNet (BLOCK) has been traded in the past 24 hours. BlockNet (BLOCK) currency type is coin. BLOCK trading is available in number of exchanges. Exchanges information is updated automatically. Stay tuned to check updated information. If you find any error on this page, please Contact Us to update BlockNet (BLOCK) and contribute to CMD Cryptocurrency Encyclopedia. 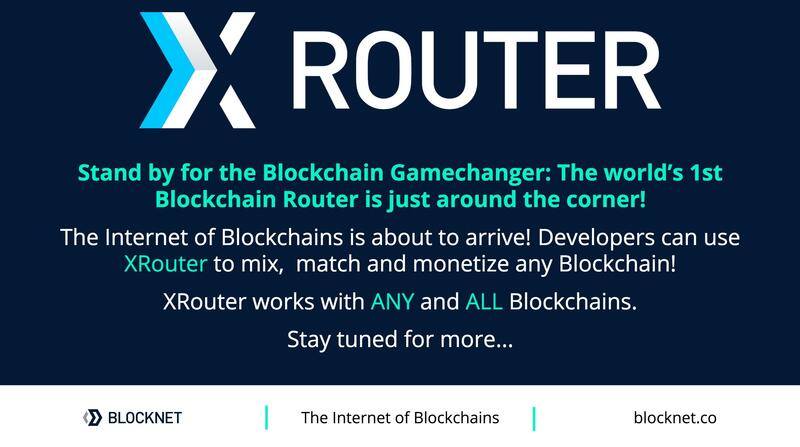 XRouter is LIVE! Introducing the worlds 1st Blockchain router! Developers can mix, match & monetize ANY Blockchain & build dapps only limited by their imaginations! The internetofblockchains has arrived! The #blockchain game changer is here! Check it out. New BlockDX Coin ANN #FROST can now be traded on Block DX Decentralized Exchange + $FROST is now ready for cross-blockchain dApps with new #Blocknet integration!